I guess this is a good place to mention my work, the apps and projects I've published. Currently working on a project that combines two of my biggest interests, apps and food. I read and get recommendations of restaurants all the time, but I never really write them down. Sure I have some in notes, on paper, in email threads or in Google maps but I needed a solution for this. So I created Todine. Collect all the restaurants you've been to and want to visit in one place. While working for ETV I created this app as a side project in 2014. Now it's used by all members of the Day 8 community, almost 100k users. First version was build in Objective-C but to add support for Android we decided to rebuild it in React Native. This decision was made in early 2016 (when RN was very new) and looking back it was a great decision. I decided to publish my small project I've been working on for a while. I love browsing through dribbble.com and get blown away by all the great designers. What I missed though, was a mobile app that made this easy as breathing. So I created Yummmy. 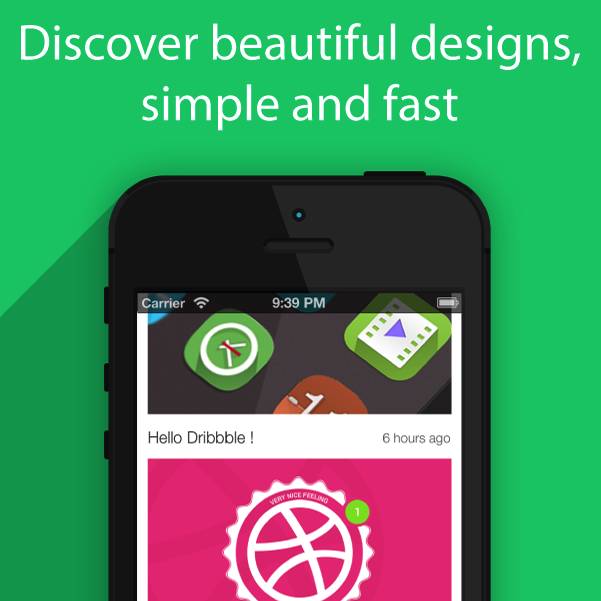 Simply scroll through hundreds of the most popular dribbbles, fast. Zoom in on details, let the living GIFs play, and share with friends. Rabble is a Swedish mobile startup with a cool product, Mobile offers and coupons where you are. I've been developing their iPhone app, together with some great people. If you live in Sweden, check it out!